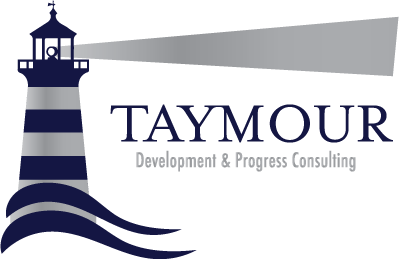 More Brain Juice Please « Taymour Consulting Ltd. The human brain is such a fascinating and complex organ, that the scientific world is still studying it. Through the years of research, it has come to light that there are three very important neurochemicals in the brain that help the millions of neurons connect and communicate better so that we can think and process thoughts more efficiently. These chemicals are serotonin, dopamine and endorphins; what us Neuro Linguistic Programmers call brain juice. In a recent study, it was found that people who have been diagnosed with clinical depression tend to have low levels of all the three chemicals mentioned above. Unfortunately, most sad and depressed people end up with increased amounts of Cortisol in their body which can interfere with the function of neurotransmitters. Excessive Cortisol in your brain can also make it difficult to retrieve long-term memory, in other words the functioning of the brain slows down and becomes polluted. Some studies have also linked too much Cortisol to the stiffening of the arteries, thus increasing the risk of a heart attack. Luckily, there is great news. By incorporating some fun and interesting changes to your daily life, you CAN change how you feel by the chemicals your brain can naturally create. The brain reacts to the emotions we feel, and some of these emotions are hard wired to the physiological changes we go through. For example, it is very challenging to think sad thoughts while our posture is upright, or when we put on a huge fake smile. I won’t be the first to tell you that the mind and body work as one. Just recall the last time you went for a long walk, a swim or a jog – did you feel down and depressed afterwards ? Of course not, the simple reason is that your brain produced endorphins during your exercise (endorphins are the bodies natural opiates that make you feel good). One of the reasons we love eating chocolate or indulge in retail therapy is because such behaviour automatically signals to the brain that you are enjoying yourself, so the brain starts to release serotonin – also known as the happy hormone. This is precisely why we become chocoholics and shopaholics – our brains create a link to behaviours that make it feel good resulting in a habit that is not always in our best interest. So here’s what you CAN do in order to improve your life, create better moods and most importantly, manage and perhaps successfully overcome those times when you are in the doldrums. 1) Start exercising for at least 20 minutes a day. Exercise does not have to be painful and strenuous, it can be anything from a nice swim, a morning walk to work, using the stairs in stead of the elevator and even making love to your beloved is a form of exercise. This way you kick start your body and your brain into producing endorphins. Look at the bright side, you’ll also lose some weight and get fit. 2) Deliberately force yourself to smile and laugh as often as you can, even if it feels artificial. You can try sticking smiley faces all around your house, car and work place, so that you’ll remember to smile every time your eye meets these stickers. 3) Go on a negativity fast by only watching comedy films and sitcoms. Fish for programs, people, magazine articles and situations that force you to laugh. 4) Look into your nutrition. There have been lots of research that link bad nutrition to mood swings and depression. The latest research shows that a diet with increased fatty acids such as Omega 3 and 6 can contribute to better brain functioning and moods. Do your homework and improve your diet. By incorporating the above 5 steps into your life for at least 2-3 weeks, you may begin to notice some powerful shifts and changes in how you feel. In order for the brain to function well, be alert, think fast and connect thoughts more efficiently – it needs the necessary chemicals to help it. The human body is a magnificent entity that can heal itself though its own ingrained programming. The key is to use it well by adjusting our lives in order to allow nature to do its magic.